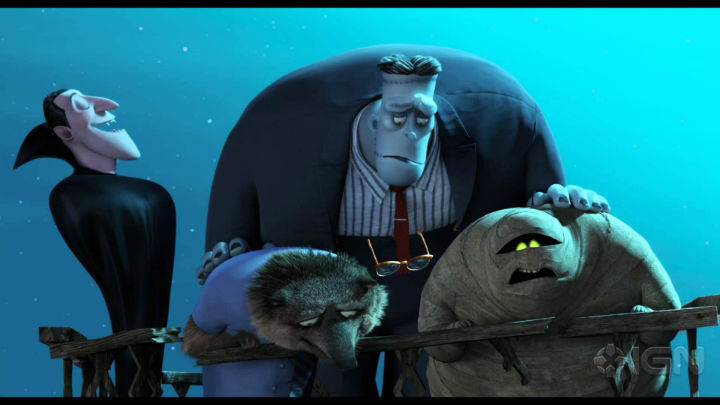 The animated sequel “Hotel Transylvania 2” topped the box office, earning $47.5 million. The film’s set several records: it’s the biggest September film opening of all time, the biggest Sony animated film opening of all time, and Sony’s biggest opening this year. It might also be the biggest (or second-biggest) Adam Sandler film opening ever, though I suspect being an animated film let it avoid the fate of recent Sandler efforts like “Pixels.” I’d imagine people are going to see “Hotel” for fun cartoon monsters, being timed for Halloween, and the lack of much new animated family fare in awhile, not for Adam Sander. Dropping to third place (behind newcomer “The Intern”) is “Maze Runner: The Scorch Trials,” which earned another $14 million (-53.8% from last weekend). The $61 million budged film’s totals so far stand at $51.7 million domestic and $173.5 million globally. 70% of its take so far has come from overseas. Dropping to seventh place is “The Perfect Guy,” which earned another $4.8 million (-51.3%). So far, it’s earned $48.9 million. In eighth place is “War Room,” which made another $4.3 million (-31.2%). Its box office total stands at $56 million. Opening in ninth place is horror film “The Green Inferno,” which earned a mere $3.5 million. This film’s been criticized for its stereotypical portrayals of the South American native peoples it uses as its cannibalistic villains. Supposedly, “The Green Inferno” was meant to be a throwback to the style of horror films of earlier decades. The film has a 38% Rotten Tomatoes rating, and will likely be long gone by the time Halloween rolls around. However, “The Green Inferno” is a “Jurassic World”-sized smash hit compared to the other heavily criticized film that opened this weekend, “Stonewall.” The film is a retelling of the famous 1969 Stonewall Inn protests that helped to spark the modern LGBT rights movement. However, the choice to make the film center mainly around a White male protagonist has been heavily criticized, since it ignores that the police backlash was led mainly by people of color and transgender individuals. The film’s director, Roland Emmerich, has defended his filmmaking choices, including not actually casting any actresses who’re transgender, with the tired old “we hired the best people for the job” excuse. (To quote the New York Times article I linked to: “Mr. Emmerich said that ‘we read a lot of transgender actors’ and that the best performers were chosen.”) The article also says “Stonewall” had a $17 million budget, making this film a big flop—it only pulled in $112,414 this weekend, playing in 129 theaters (an average of $871 per theater). I expect “Stonewall” (in all its 9% Rotten Tomatoes-rated glory) will be dumped on DVD and Netflix in no time. Dropping out of the top 10 this week are “Mission: Impossible – Rogue Nation” and “Straight Outta Compton.” The former’s earned $193.5 million domestically and $658.2 million globally. The latter’s earned $190.4 million total to date. "The Force Awakens" versus...the Chipmunks?